Agatsuma was born 1973 in Ibaraki, Japan. He began studying the Tsugaru Shamisen at the age of six, and earned his first accolade-first prize at the 1988 All-Japan Tsugaru Shamisen Competition-at fourteen. Agatsuma continued his studies and in 1995 and 1996, won top honors at the Tsugaru Shamisen National Competition one of Japan’s most prestigious competitions. In September 2001, he made his major label debut on EMI Music Japan with the eponymous “AGATSUMA” This album is comprised of five traditional pieces and five original compositions. “AGATSUMA” was named “Traditional Japanese Music Album of the Year” at the 16th Japan Gold Disc Awards. In his second album, “BEAMS～AGATSUMA II” (released in July 2002) he recorded ten original works that took the Tsugaru Shamisen in new directions. In January of 2003 Agatsuma made his US debut with “BEAMS” released by Domo Records. His five-concert tour of the east coast-New York, Boston, Windsor, and Baltimore-was a huge success. After releasing 3 albums, Agatsuma toured Europe in 2005, including Spain, Portugal, France, Luxemburg and Belgium. With “○－En－”, his sixth album released in 2006, he won “Traditional Japanese Music Album of the Year” at the Japan Gold Disc Awards for the second time. Agatsuma went on to tour Australia (Sydney, Melbourne and Brisbane) during the Year of Australia-Japan Exchange. His seventh album “Sofu” was released in 2007, which contains a theme song from NHK’s TV drama “Furin-Kazan”. Agatsuma participated in San Paulo, Brazil’s celebration of the 100th anniversary of Japan-Brazil Exchange. This event was followed by a highly successful tour of Milan, Italy and Russia. Agatsuma also performed at the opening ceremony of the Moto Grand Prix in Japan broadcast in 207 countries around the world. Media appearances include joint performances with a collection of global artists. Agatsuma had a special guest appearance with jazz legend Herbie Hancock during Hancock’s Japan tour and has also performed with Marcus Miller and many others. 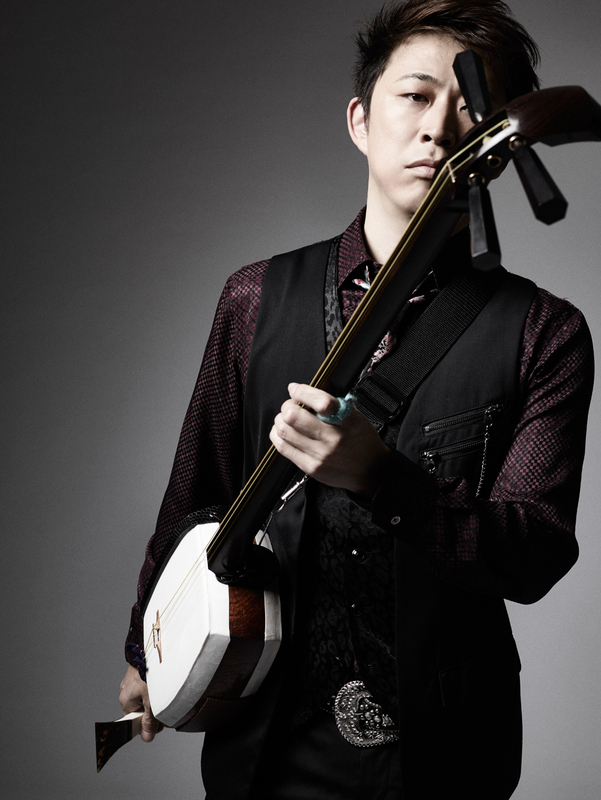 Agatsuma is breaking new ground with his fresh approach to the Shamisen and introducing this traditional instrument to new listeners everywhere.